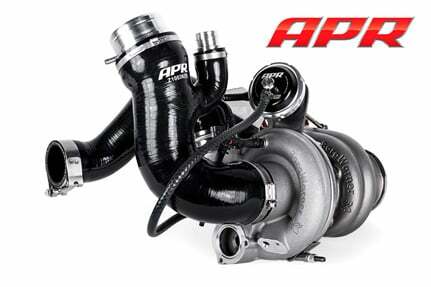 APR Presents the Stage III EFR7163 Turbocharger System for the North American 2.0T EA888 Gen 3 engine! The APR Stage III Turbocharger System produces an incredible 522 HP and lays down 10-second quarter mile passes, all through a convenient, affordable and expandable, turn-key solution. It represents a threat to the establishment of turbo four cylinder vehicles of yesteryear, and breaks the hearts of muscle cars and exotics everywhere as they are left in the dust by an engine a third the size of theirs, screaming a turbocharged battle cry as it passes. It is a vicious beast, yet a beast easy to tame. It makes for a civilized daily driver that quietly sips premium fuel with surprisingly excellent mileage. Deceivingly quick transient response, with near stock-like turbo lag makes for an experience devoid of the compromises many would expect from an engine this size. 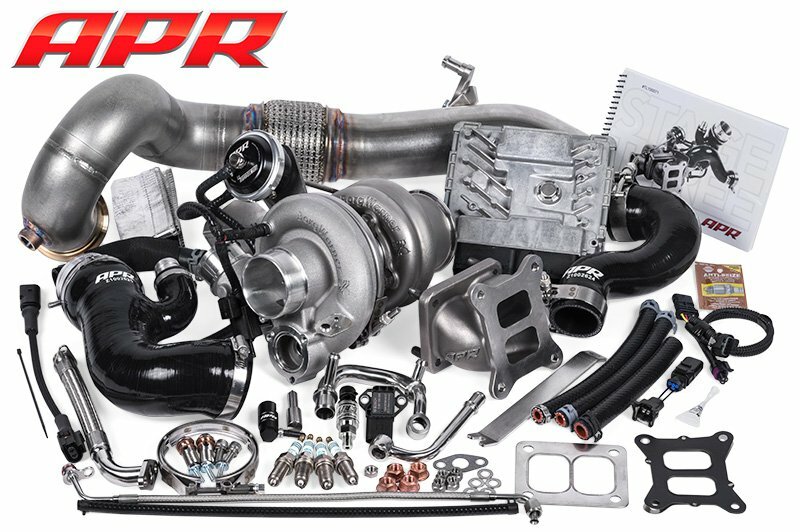 It is the answer to the desire for more power, and itâs the brainchild of APRâs talented engineering teams, with over a year and a half of initial development, and a never ending drive for perfection. It is easy to install, blisteringly fast, and produces an absolutely exhilarating driving experience. Welcome to Stage III! 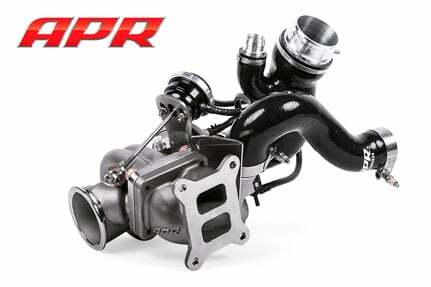 Offering up to 522 HP, this is the most powerful 2.0T turbocharger system we have ever created! 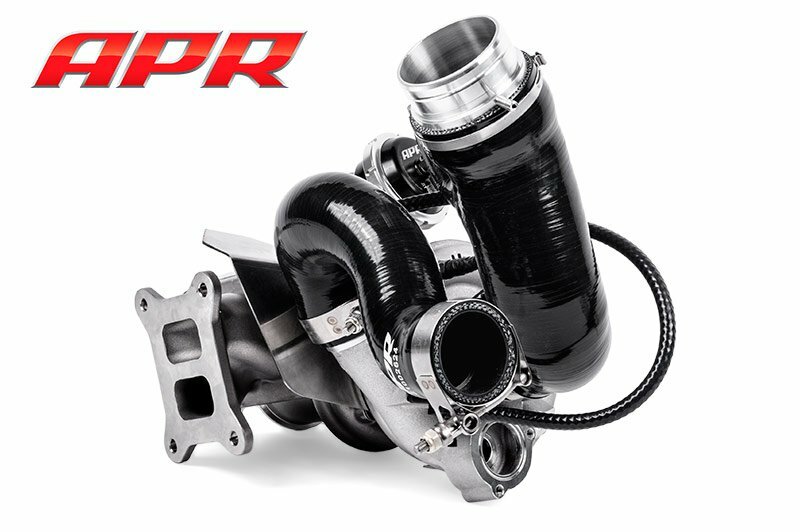 Turn Stage III into Stage III+ with APRâs fueling system and get more power with more headroom to go further in the future. 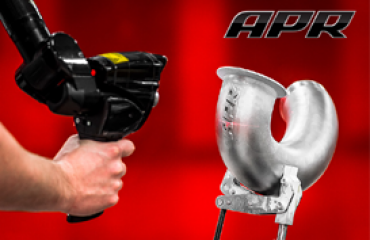 No headaches sourcing parts or costly “dyno tuning.” Stage III is a complete bolt on solution all the way down to the APR ECU Upgrade software that makes it all possible. APRâs Engineers have done the hard work. 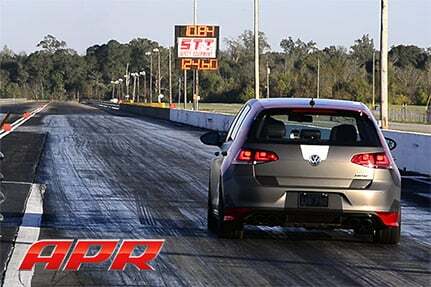 They have tested what works and what does not to deliver a true bolt-on package worthy of the APR name. No corners were cut. Stage III only uses the highest quality materials and components. 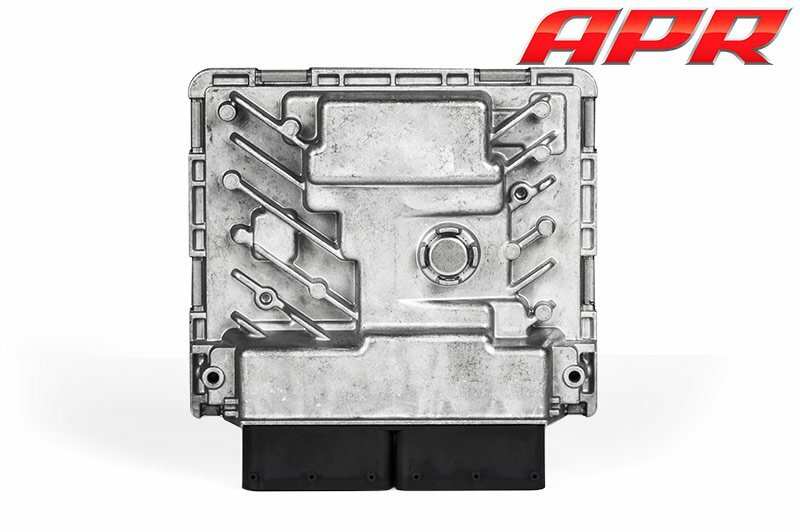 Included with the turbocharger system is APRâs world-renowned Stage III ECU Upgrade! This software upgrade installs on the factory ECU and requires no extra end user configuration or tuning and eliminates the need for costly piggyback controlling devices. Simply visit any APR dealer and the software installs in minutes! APRâs Engineers spent more than a year and a half researching and developing the factory engine management system to operate seamlessly with the extensive changes introduced at Stage III. This includes thousands of full power sweeps on the engine and chassis dynos, street and track. Â This was no simple task as power is well beyond the original configuration with extensive hardware changes. Through both ECU source code and calibration changes, APRâs Engineers converted the system to run with a substantially larger turbocharger, featuring a pneumatic wastegate actuator and larger MAP sensors. At Stage III+ power levels, the software supports larger port injectors and a larger fuel pump. To better understand the complexity of the engine management system, one must first understand the models within. The factory engine management system uses modeled, or simulated input, to control the engine without the need for costly sensors. While some sensors are still used, the ECU does not measure how fast the turbocharger is spinning, temperature of the exhaust gasses, or how much backpressure is in the turbine housing, among many other important things. When developing the factory calibration, sensors were used to measure each of these items and then models were made within the ECU and the sensors were removed. The ECU then relies heavily on expected behavior from factory components. 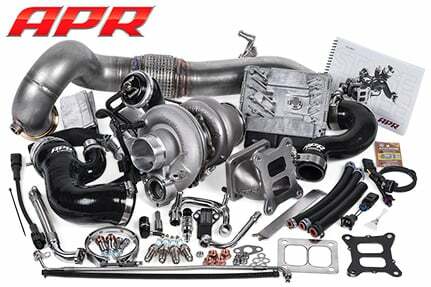 However, if these components are altered, such as changing the turbocharger, the models no longer work and the engine no longer runs correctly. This is why properly created Stage III software is so critical. To properly configure the ECU, APRâs engineers spent months updating the ECUâs modeled information to the new hardware specifications. 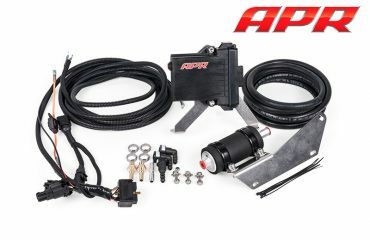 While on the engine dyno, various expensive and sensitive probes were installed throughout the engine allowing APRâs engineers to measure and alter critical information within the ECU. When hardware changes were necessary, APRâs Mechanical Engineers were able to make changes, rather than requiring the calibrators to tune around the shortcomings. 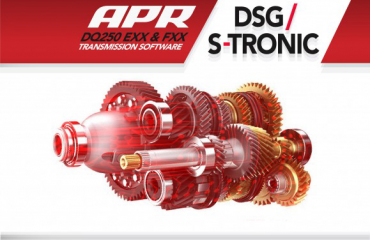 APRâs incredibly powerful and proprietary ECUx data logging suite allowed APRâs engineers to monitor every change within the ECU at extremely high resolution, ultimately resulting in a calibration that is responsibly created. The ECU fully understands the changes Stage III brings, and as such, can properly manage and control the engine. 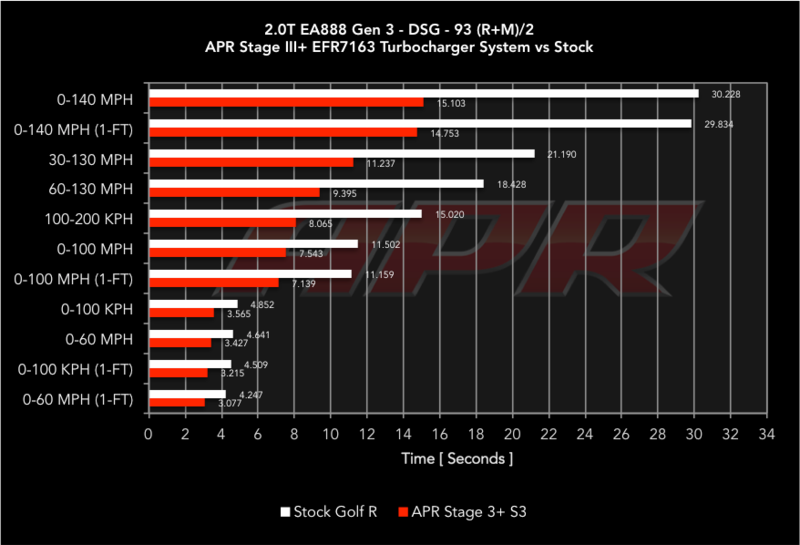 Because of this, APRâs Engineers can aggressively seek exciting power levels without taking risky shortcuts. The engine operates more smoothly, enhancing everything from daily driving to full-on acceleration. Fuel economy is better and the ECU can properly protect the engine from dangerous operating conditions. 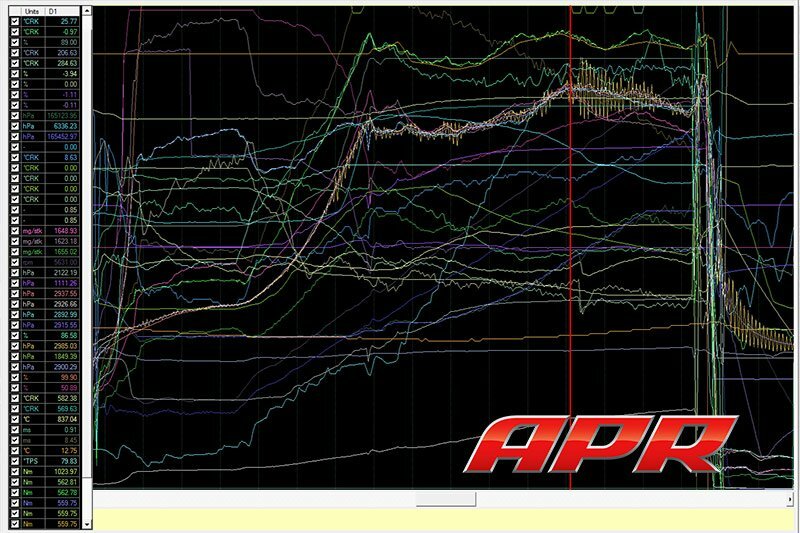 To APRâs Engineers, itâs responsible tuning. To the driver, it just works. – Max increases are based on APR’s actual measured stock values and not those reported by VAG. | RON = ROW Fuel Grades | AKI = North American (RON+MON)/2 Fuel Grades. – Reported wheel figures measured using APR’s AWD Dynapack dyno with multiple vehicles, using SAE correction and an average of multiple runs for all figures. Crank figures are estimated based on the measured wheel figures. Results may vary depending upon environmental conditions, vehicle, transmission, vehicle health, operating conditions, temperatures, fuel grade, dyno type, dyno setup, other variables and other modifications. 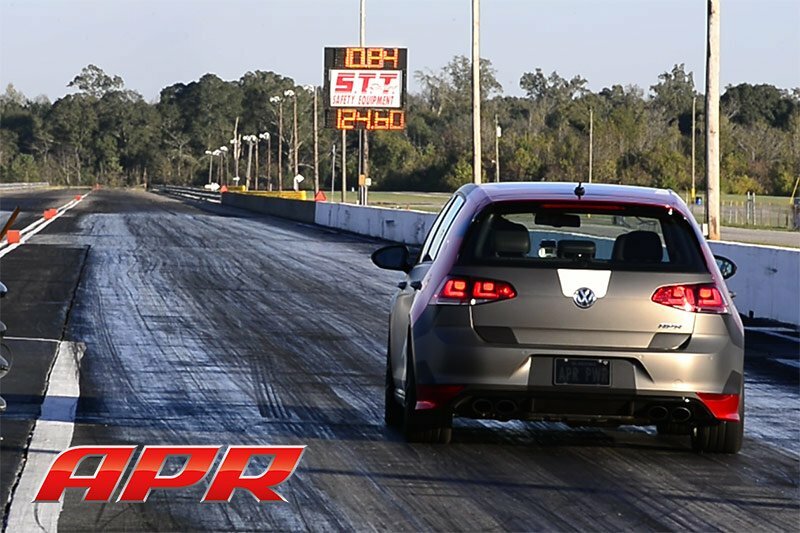 – Acceleration data collected at the same location with a US Spec 2015 Volkswagen Golf R DSG Stock via a Racelogic P-Box’s actual data files (not screen data) with ESP disabled, race/dynamic mode, sport mode, and automatic redline shifts. Stage III+ 93 figures collected with a US Spec 2015 Audi S3, APR Stage III+ with intake, intercooler, midpipe, TCU Upgrade, APR wheels, Michelin Tires and Brembo Brakes. Results will vary depending upon location, environmental conditions, vehicle, transmission, shift points, vehicle health, operating conditions, temperatures, fuel grade, weight, tires, other modifications and more. (1-FT) indicates 1 foot roll out timing. 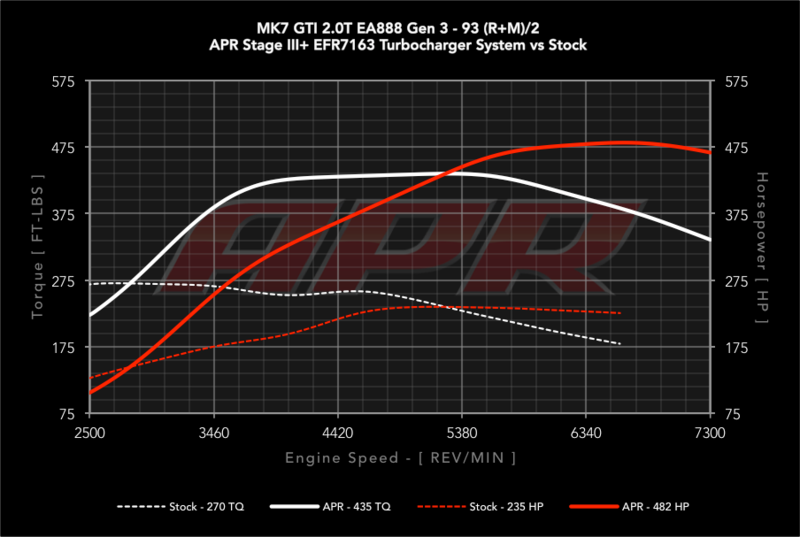 To achieve Stage III+ power levels APRâs upgraded injectors and fuel pump are required. No fueling upgrades are required for Stage III power levels. 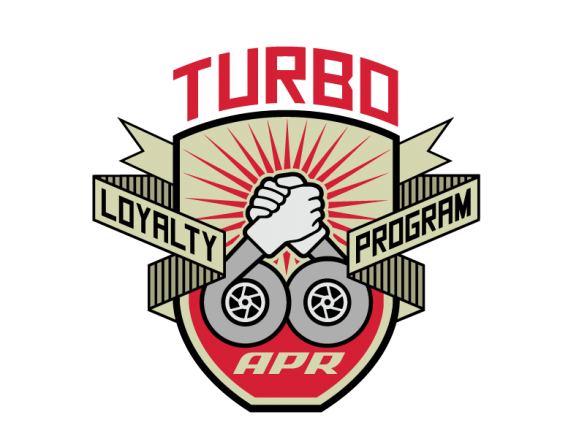 Weâre pleased to announce the turbocharger upgrade path just got a little easier for our loyal APR customers. 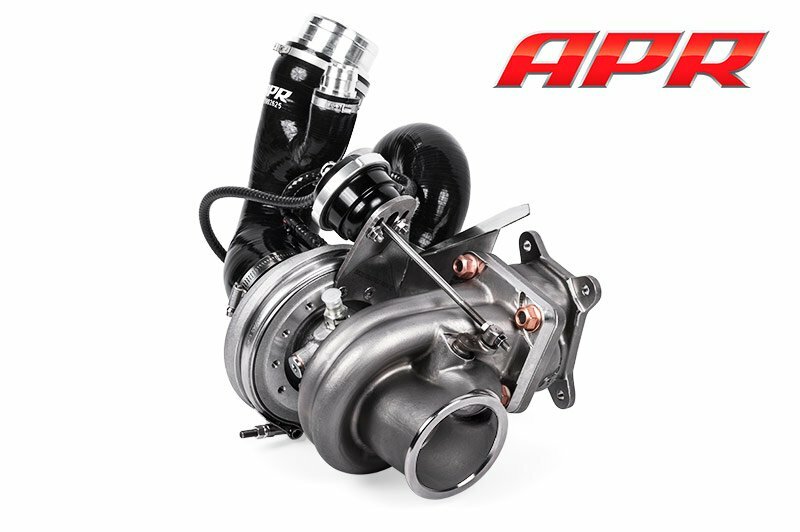 If youâve purchased an APR ECU Upgrade and want to upgrade to one of our turbocharger systems, you can take advantage of fantastic savings!Â Itâs our way of sayingÂ âthank youâÂ for enjoying our ECU Upgrades before stepping up to the big leagues! To see the savings, look over the pricing tiers below. Pricing also includes a fully loaded APR ECU, where applicable! – Pricing: Please contact an APR Importer for pricing outside the USA. – Availability and ECU Compatibility: Stages, programs, and features may not be available for all ECUs. – ECU Revision Notice: Multiple ECU revisions exist for each platform. APR software may be temporarily unavailable when factory updates are applied. 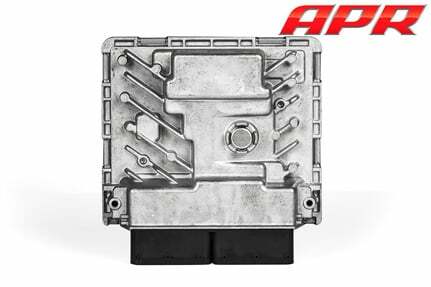 An APR dealer can check availability in person, or over the phone if the ECU boxcode/revision is known.